Smart Speaker In The Kinchen. 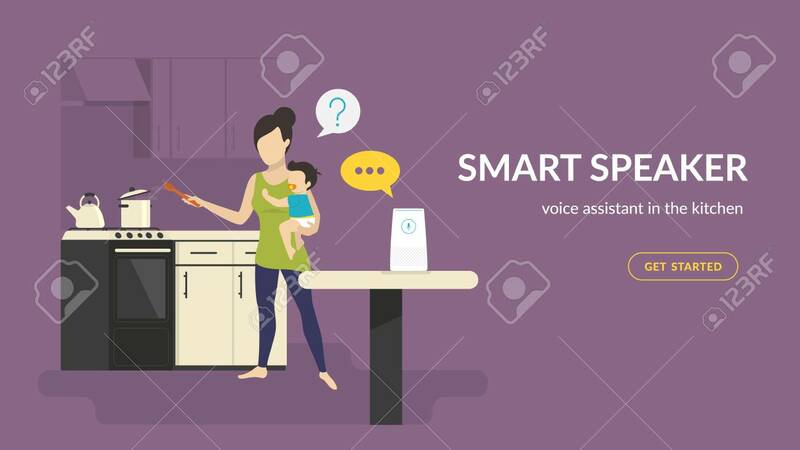 Flat Vector Illustration Of Woman With Baby Cooking In The Kitchen Talking With White Home Smart Speaker With Integrated Virtual Assistant. Concept Design With Copy Space Lizenzfrei Nutzbare Vektorgrafiken, Clip Arts, Illustrationen. Image 110270275.